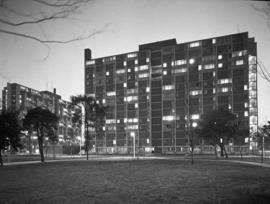 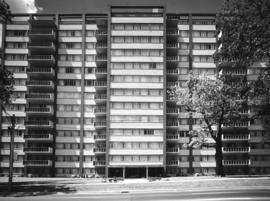 Buildings having multiple floors, usually reserved for buildings having more than two floors and that are not single family dwellings. 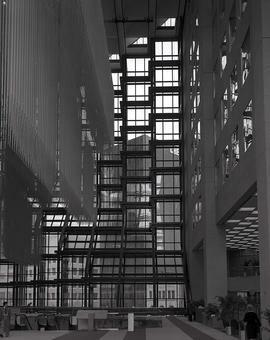 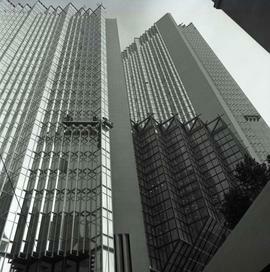 Item features an image of two skyscrapers with glass windows joined in the middle. 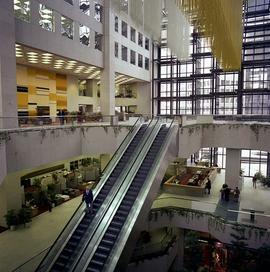 It is a streetlevel view, with a sculpture, stairs, and flower garden in the foreground. 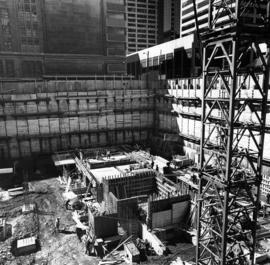 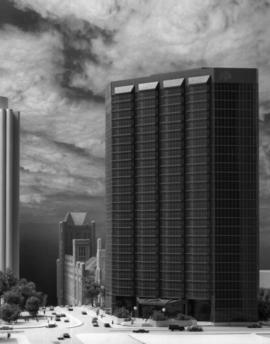 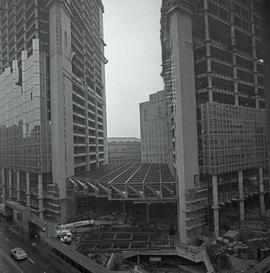 Exterior views of a high rise office building, one view of construction phase. 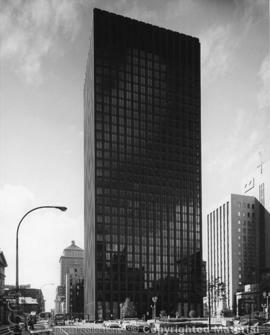 Skyscraper office building located at 121 Bloor Street East in Toronto. 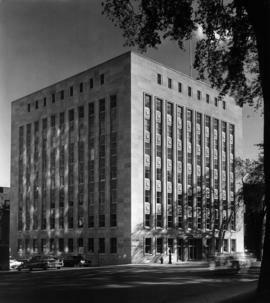 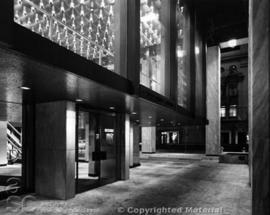 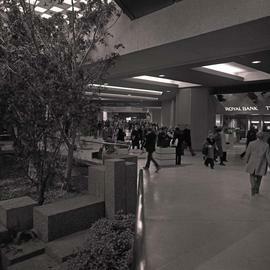 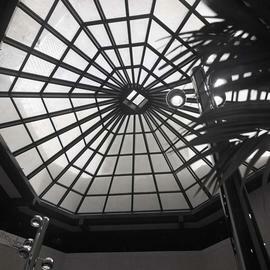 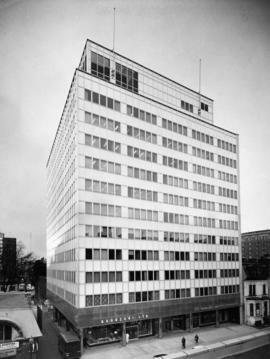 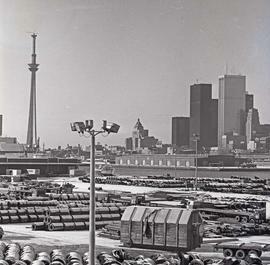 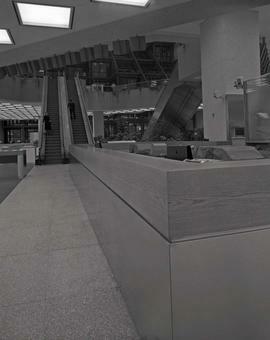 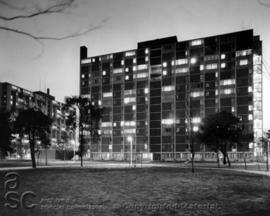 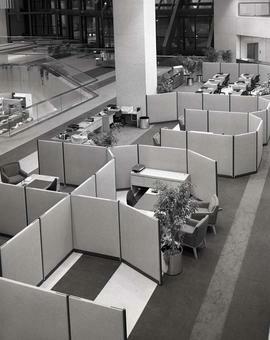 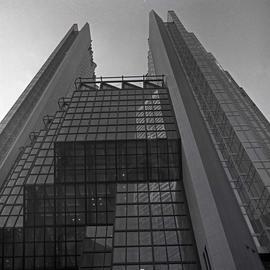 The building was completed in 1982, and this image was published in the November 1987 issue of Canadian Architect magazine.